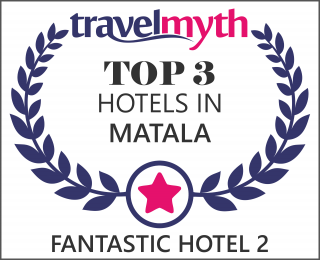 Hotel Fantastic at Matala of Heraklion, Crete! Matala is among the worth visiting places in Crete! Our garden will charm you! International clients trust and choose our hotel for their summer holidays! We offer our guests the best prices (negotiable) even during high season! Our hotel is among the most preferred in our area! The area is a favorite destination with a lot of interesting, worth visiting landscapes! We pay attention to the rooms’ hygiene and cleaning, as you will see for yourself when you will visit us!